All Land Use Changes that are not listed under Administrative Land Use Permits or Minor Land Use Permits require a Major Land Use Permit. Applications vary according to the type of permit. See the Yuma County Land Use Code for the specific type of permit you need. You must submit one original application. Thirteen additional copies will be needed for the Board of County Commissioners, the Planning Commission and staff. The applicant can provide all of the required copies but the administrator needs to review the original application prior to the copies being made. A charge of 50 cents per page will be charged when the Administration office makes copies of the application. Any person contemplating a Land Use Change shall first schedule a pre-application meeting with the Administrator to discuss the proposed Land Use Change. Determination of the type of land use permit will be made. The application will be dated when determined complete and all time frames within this Code pertaining to review of the application shall be based on the completeness date. The basic fee and deposit are to be submitted with the application. 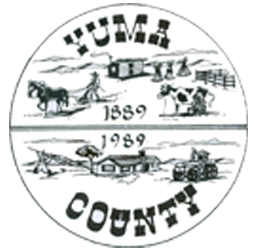 The basic fee will be retained by Yuma County. The deposit will be used to cover additional expenses, which may include, but is not limited to: advertising, copies, mailings, recording of documents, facility rental for hearings, fees to retain attorneys, engineering specialists, and other professional consultants with the expertise to review and advise the county on the permit application. Special circumstances may cause additional staff time to process the permit. An additional $20.00 per hour will be assessed. The Yuma County Administrator will notify the applicant in advance of retaining outside consultants or the need for additional use of staff time. If the entire deposit is used in processing the application, the administrator may request additional deposit funds. Any unused portion of the deposit will be returned to the applicant, along with an accounting of the deposit amount used. The process varies according to the type of permit. See the Yuma County Land Use Code for your specific type of permit request. Review by Referral Agencies: The Administrator may send copies of the application to any referral agencies and consultants deemed necessary by the County. Notification to adjacent property owners and mineral holders: The County shall notify property owners and mineral rights holders within five hundred (500) feet of the boundaries of the parcel where the development will occur by sending a written notice describing the proposed Land Use Change and setting forth the time, date and place of the Planning Commission meeting/hearing and the Commissioners hearing. Review and recommendation by Planning Commission: Some permit types require a hearing before the Planning Commission. The Planning Commission shall recommend to the Board of County Commissioners: approval, approval with conditions, or denial of the application for a Minor Land Use Permit, based on the applicable standards and criteria in Article 5, Standards and Criteria. Public hearing by Board of County Commissioners: The Board of County Commissioners shall hold a public hearing to consider the application for a Minor Land Use Permit and shall hear evidence regarding compliance with the standards and criteria before taking an action on the application. Approval: The application for a Minor Land Use Permit may be approved if the application satisfies all of the relevant standards and criteria contained in Yuma County Land Use Code Article 5, Standards and Criteria. Conditional Approval: The application for a Minor Land Use Permit may be approved with conditions, if conditions are necessary to ensure compliance with this Code. Denial: The application shall be denied if the application does not satisfy all of the relevant standards and criteria contained in Yuma County Land Use Code Article 5, Standards and Criteria. I am going to divide 34 acres from 80 acres for the purpose of selling the smaller parcel of land as a future home site. Do I need to go through the Yuma County Land Use Process? I am going to construct a new home and garage. Is there anything I need to do relating to the County Land Use? I am going to start a business out of my home. Do I need a permit? I want to expand my current 1000 head feedlot to hold 1800 head of livestock. Do I need a permit for an expansion like this? My company needs a gas compressor for the new gas wells they are putting into operations. Is a permit required? No septic system or water well will be needed. How long does it take to go through the Land Use process? Acceptance of the complete application. The type of permit being requested. Review of the application by the Administrator (30 days allowed.). Required notification by letter to adjacent landowners and mineral interests. When the application is received in relation to scheduled meetings by the Planning Commission and the Yuma County Commissioners. Hearing notices are published according to Land Use Code guidelines and vary according to the type of permit being requested. Contact the Land Use Administrator for new addresses. Measurements from the nearest west or south section line to the centerline of the access road will be required prior to issuing an address.